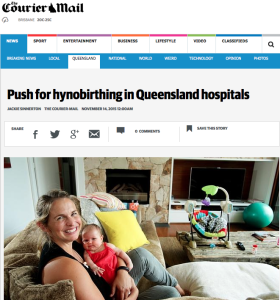 You are here: Home / Blog / Libby Trickett Cheers for Hypnobirthing Australia! Libby Trickett Cheers for Hypnobirthing Australia! Great to see our Golden Girl, Olympic Gold Medalist Libby Trickett, with new little hypnobub Poppy, featuring in the Courier Mail this weekend! 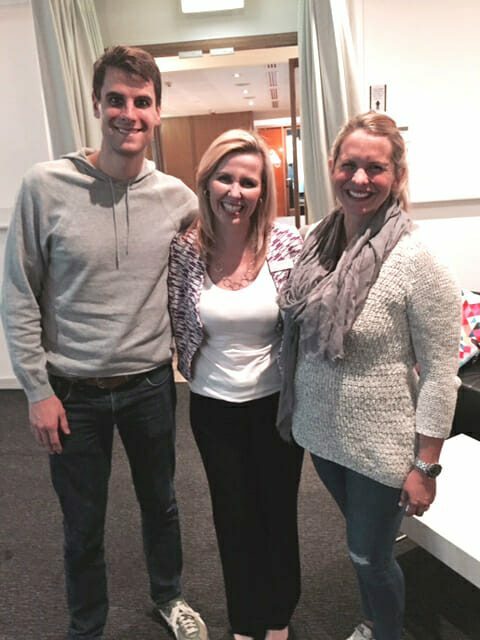 Libby and Luke Trickett attended hypnobirth classes in Brisbane with director of Hypnobirthing Australia, Melissa Spilsted. 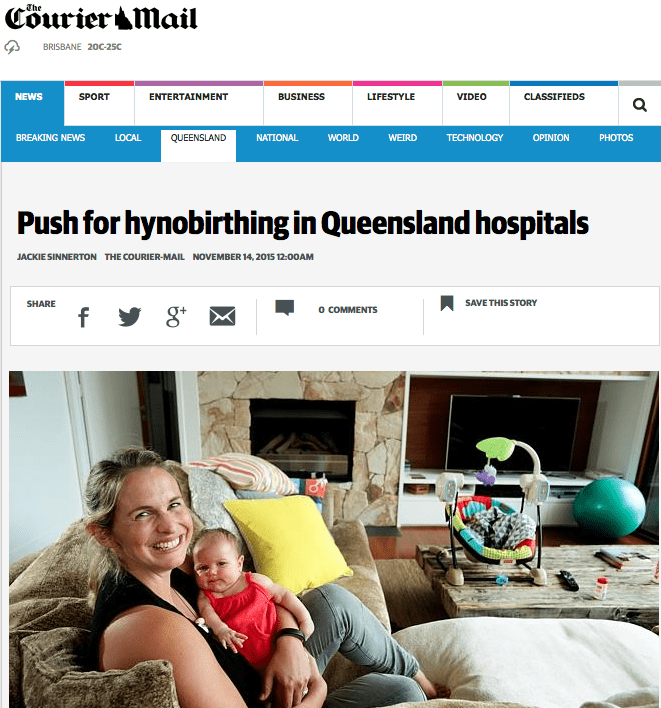 Now Libby is cheering for the Hypnobirthing Australia program that she used to prepare for her own positive birth and would like to see it integrated into Queensland hospitals. If you would like to join the league of champions for your own childbirth education (and drop the screaming!) then click here to find your closest Hypnobirthing Australia class.